Yeah took mine out the other day an still can't believe how much better the back feels. Bandit just told me they ordered several thousand springs and as soon as all of them were done they would ship them. So...getting closer! I put those Bandit springs on my Wildcat Trail last year for my Xmas gift to myself I didn't read the entire thread, but note that they have a standard and HD spring, with the standard (175-Frt, 200-Rear) being the ones NMK purchased and the HD ones running 225-Frt, 200-Rear. The HD are recommended for owners that carry a second passenger or a lot of gear. They made a HUGE difference on my Trail, as the stock springs are a weak point and tend to sag up to 2" after a few years of ownership. 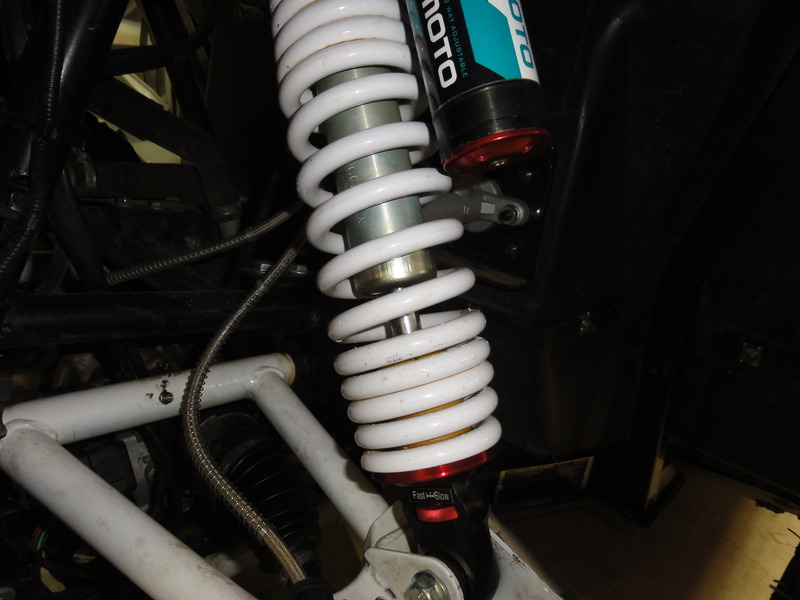 The Fox shocks are pretty good, but the springs really limit the suspension, so these Bandit springs are well worth the cost. EX springs aren't failing like the Trails are so the market may not be there for them but...they may already have something that will work. 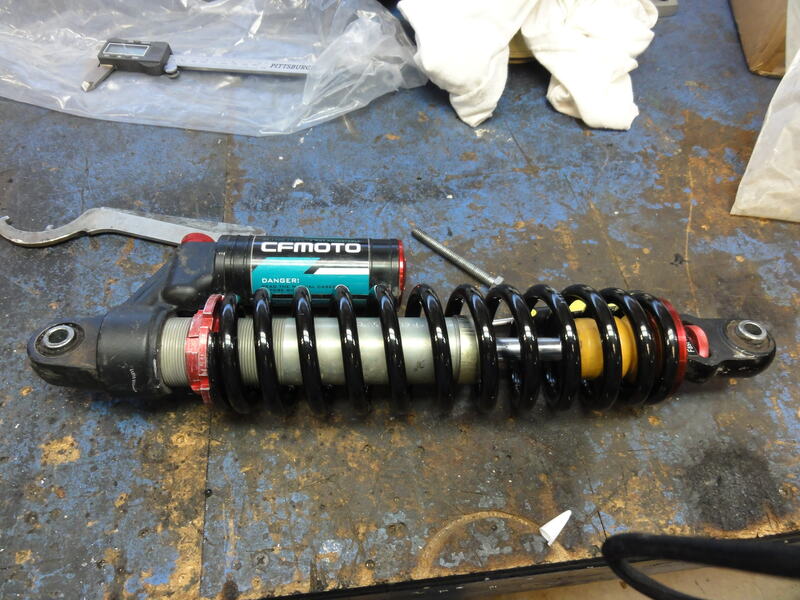 Someone with an EX needs to pull one off the front and one off the rear and measure the total length of the spring when off the shock and the inside diameter of the ends. I have my rear shocks off my Z800 EX so I measured them. They are 14 3/8 inches long ID on the bottom is 2" and 1 7/8" on the top. Wow..the 14 3/8" length I expected but the different end inside diameters I didn't. 2"=50.8mm and 1 7/8"=45.21mm. As I recall my trail has them the same at 48.15mm. Just to confirm, take a measurement on the shoulder that slips inside the coil's end to center it on either end. One will be the retainer.. if still apart. Okay I measured them with a caliper this time. The shoulder on the nut for the top of the spring is 46 mm and the bottom retainer plate is 50 mm. Having the ends different diameters makes it tough..but I will ask. Ok, this is what I got back from Bandit. Glad to help you out. And yes we are still waiting for the springs to be finished and delivered. We have quite a lot of springs on this order. And the coil manufacturer we use makes springs for other companies and they are running behind this time of year. We are hoping to get confirmation from them soon that our order is finished. As for the rear EX springs. 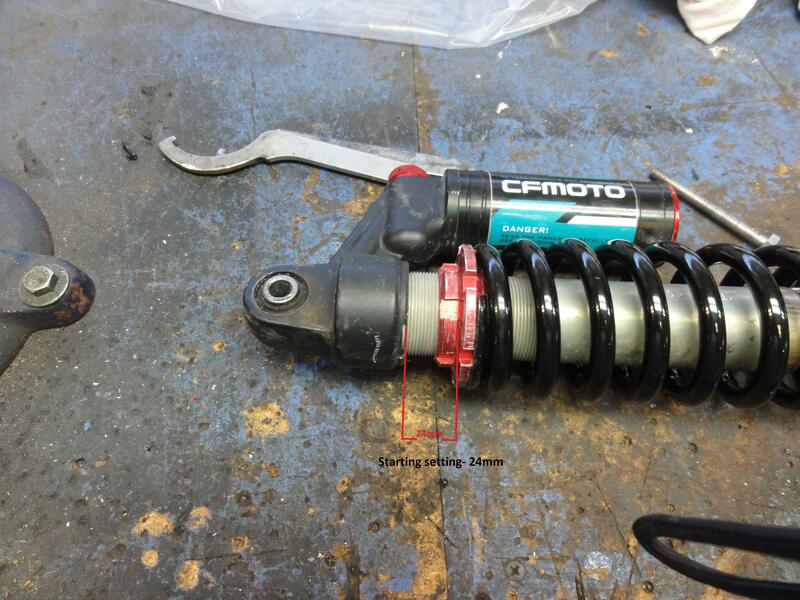 We do have 225 lb 13 inch free length springs that have 46 mm inner diameter on one end. And 50 mm on the other end. Attached is a photo. It is a barrel shaped spring. I hope this helps. 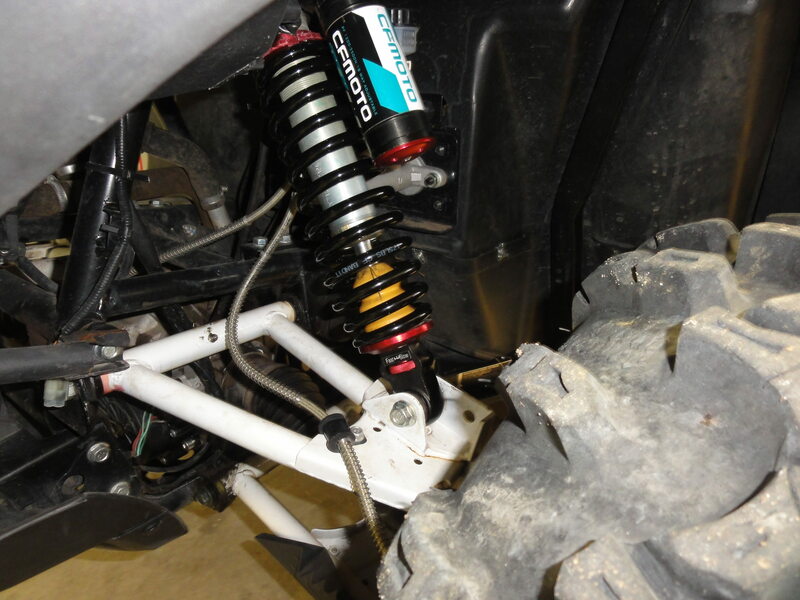 Just wanted everyone with a Z Force Trail 800 that Bandit UTV Suspension has finally got the long-awaited front springs in as well as a fresh set of rears for our machines. 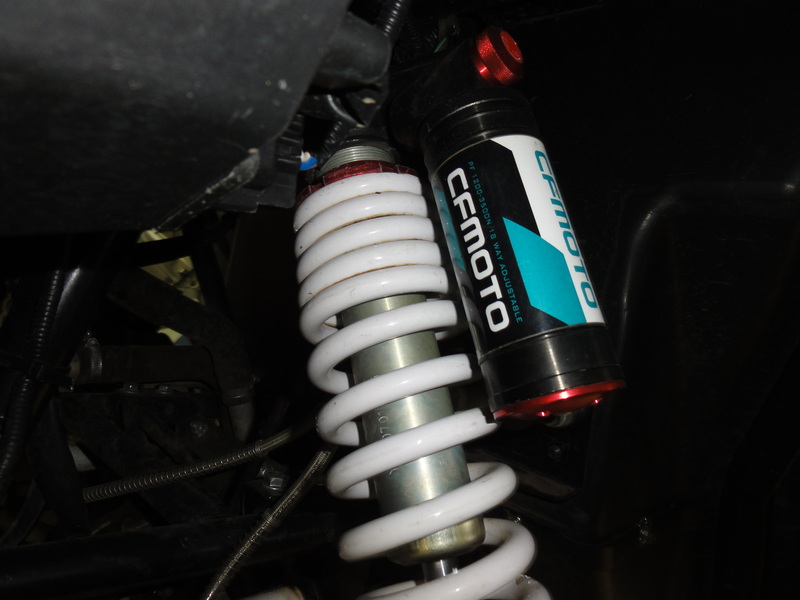 These are only for the 800 Trail and I believe they will also fit the ZF500s. For only $205 you will have all four springs. Can't wait for mine to arrive. Hey NMK, I wonder if they have a spring to fit the EX, I noticed ours are starting to sag a little. They might. 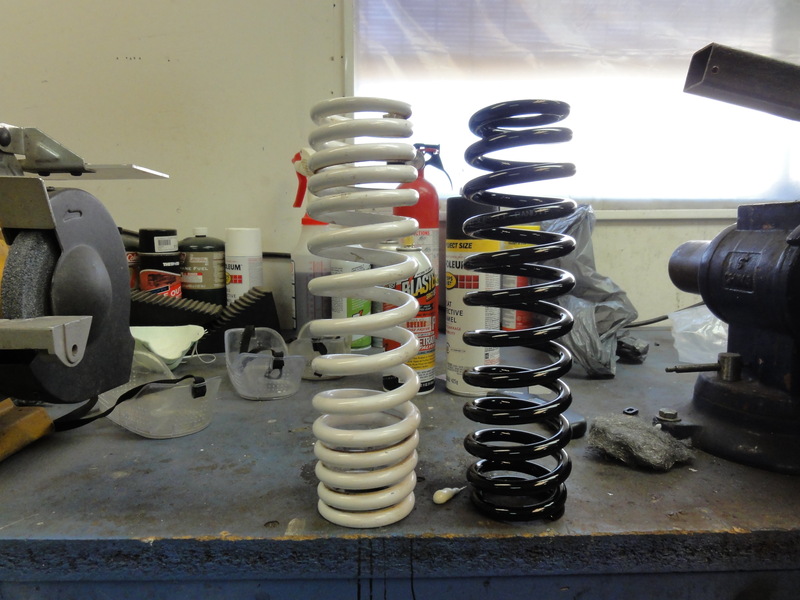 You just need to take off one front and one rear, remove the springs, then measure both's length and the end IDs then give them a call or send an email. The rears for the EX I'm thinking should be a 225-250lb rating and the fronts should be in the 200-225lb. These for the Trail's are 200 rear and 175 front. Well, they came and now they are installed. Perfect fit, easy to do especially with a shock tool. Not a minute too soon I might add. As you can see in these first photos, several of the lighter coils have completely collapsed and others are nearly there. 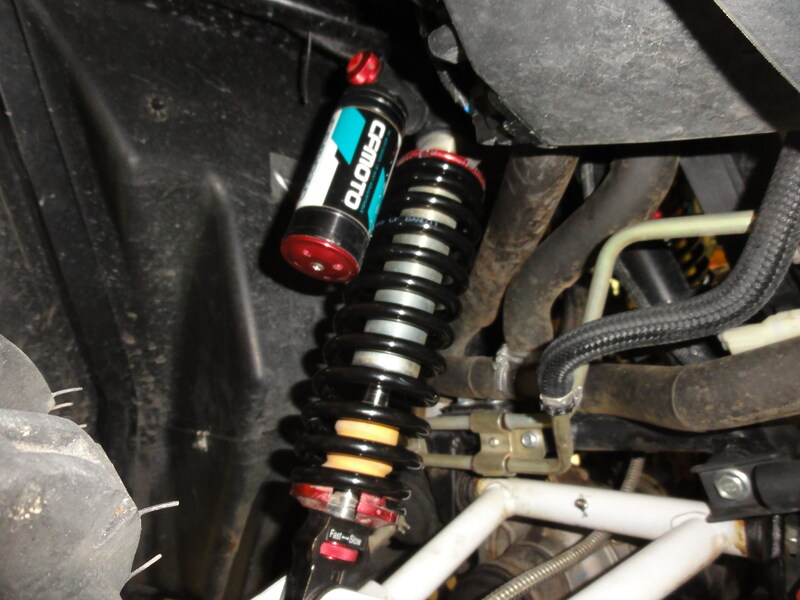 The new springs are made to the same length and shape as the old ones except in a 175lb single rate. On a guess I set the adjuster ring (not the lock ring) 24mms from the head to start with and that turned out to give me the same ride height as I had with the other springs. Now it moves smoothly all the way around. Can't wait to test it out.